Why the laugh you ask, well, I’ll tell you. Some of you may recall how two months ago I was in the midst of a group of men picking hockey stars for our fantasy hockey playoff pool, which is named the ‘Real Man’s‘ hockey pool. Myself and one other gal were the only females in the mix. And while the guys and the other gal had their eyes glued to sheets of paper filled with “important” stats and predictions and comparisons and who knows what else they were looking at, me, I kept it simple – I drafted based on looks. 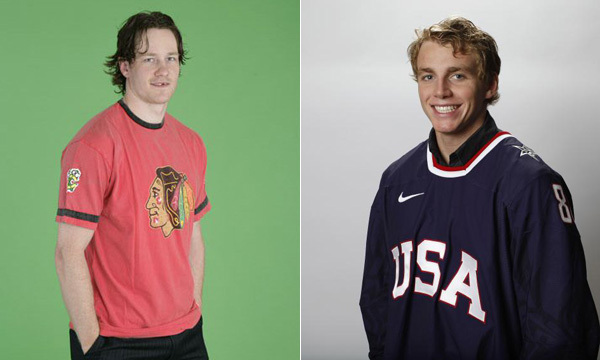 Duncan Keith and Patrick Kane: I had to lower my standards a bit as the 'real men' seemed to be attracted to the likes of Alexander Ovechkin (yum!) and Jonathan Toews (dreamy) too! As I write this posting, Game 6 of the final round of the playoffs, between the Chicago Blackhawks and Philadelphia Flyers is in sudden-death overtime. 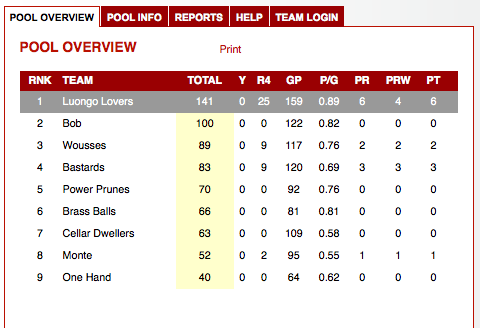 If Chicago can win it, my team – Luongo’s Lovers – will have officially won the pool. But truthfully, I pretty much had it in the bag the second Chicago advanced to the final round. See, I have players on both Philadelphia AND Chicago. Kaching! Look at that! I’m 41 points above the next team – and Team Bob was the only other gal of the pool! Real Man THAT! This is the second time I’ve won the playoff pool (I repeat, haha!). The first time I bought a dress, this time, I bought me a new pair of $286 jeans!!! Thank you Patrick Kane. Thank you Duncan Keith. Thank you Mike Richards. But seriously, did we really have to go the mullet route??? *** I WIN! I WIN! I WIN! My boy, Patrick Kane, scored the winning goal just minutes ago. Yay! YAY! What are you going to buy? Yogadownload.com has great two 8-minute ab series… they’re $3 each (I think) but I’ve been using them for years. They work! Hey, Duncan Keith is from Penticton! !